When Campbell’s launched in 2004, Jeff Campbell was determined to ensure that each of our delicious products would be hand-produced and would contain only the best ingredients for our gourmet popcorn; following the same Homemade Popcorn recipes learned from his father, Amos. Over a decade later, we still hold to those traditions. Sometimes quality comes with adding a little extra care, and we’ve felt for a long time that the best way to do that is through producing our goods in small batches by hand; you can’t get Homemade Popcorn without that extra touch! 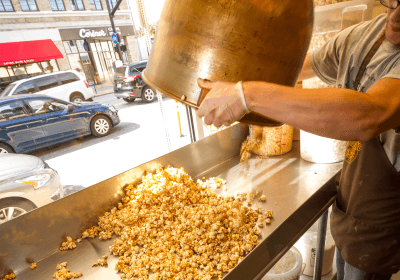 While some of our systems and processes have changed over the years, we still hold to this small-batch tradition by producing our gourmet popcorn in old-fashioned copper kettles, carefully monitoring every batch of popcorn to ensure it comes out just as rich, crisp and delicious as the batch before. 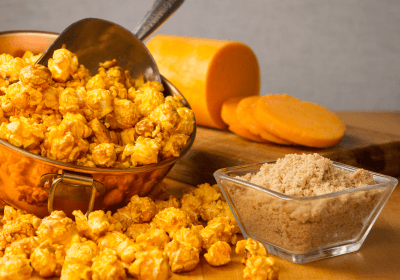 Many of our staff here at Campbell’s are popcorn lovers too, and everything we put into our gourmet products are ingredients we feel good about. 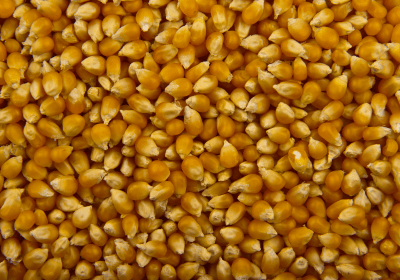 Real butter, pure cane sugars, locally grown kernels, trans fat free cheese; these are just a few examples of the quality that goes into every one of our hand-produced batches of delicious popcorn. Granted, being a “Sweets Factory”, we don’t claim to be a health-food store, but in terms of snacking we feel good about getting behind each one of our products with the quality of ingredients we use! 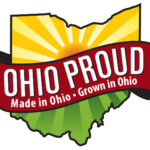 We’re an Ohio Proud product, which means a minimum of 50% of our products & ingredients are raised, grown, or processed in Ohio. We proudly bear this symbol as a testament to our commitment to keeping our products made with locally grown goods and promoting local businesses, distributors and producers. For more info on Ohio Proud, visit OhioProud.org. For more on our commitment to quality, check out our #KeepClevelandSweet page, which also includes some fun tips for making Homemade Popcorn yourself, with interactive videos!